HIV patients are taking legal action against Gilead Sciences, Inc., the maker of antiviral drugs containing tenofovir disoproxil fumarate (“TDF”). The brand name drugs Truvada, Viread, Atripla, Stribild, and Complera are compounded with TDF, which has been linked to severe side effects. According to filed lawsuits, Plaintiffs claim Gilead not only failed to warn them of these side effects but also knowingly held back a safer version of the medication in order to maximize their profits. Baron & Budd has fought this type of despicable corporate behavior for more than 40 years. If you took one of these drugs and suffered harm as a result, we may be able to help. Unfortunately, there is no cure for HIV (human immunodeficiency virus), which attacks the immune system of the body. If not held in check, HIV can rapidly multiply throughout the body, destroying immune cells and leaving the body susceptible to a host of severe infections. Medications can help patients control the virus so that they can continue to live a normal life and lower the risk of infection to others. The U.S. Food and Drug Administration (FDA) approved TDF for use in adults in 2001. TDF is designed to block the formation of an enzyme that allows the virus to multiply. In doing so, it helps to reduce the amount of HIV in the body and can help people with HIV live longer. However, TDF has been linked to several severe kidney and bone injuries. Researchers conducting a 2017 study found that TDF use can lead to chronic kidney disease. According to the study, the longer someone uses the drug, the higher the risk of developing the condition. TDF use may also increase a patient’s risk for bone loss. In 2016, researchers indicated that there was greater bone mineral density loss associated with TDF than with tenofovir alafenamide fumarate (“TAF”). A 2018 study found that people who took medications containing the substance had substantially less hip bone density. 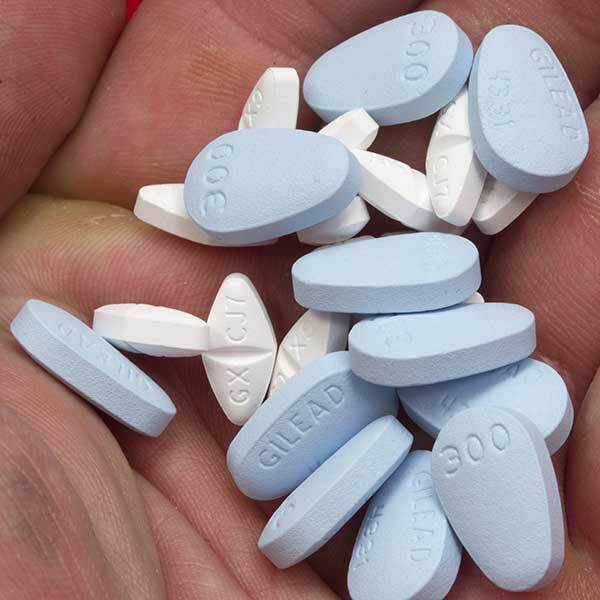 The Los Angeles Times reported in 2018 that several HIV patients were suing Gilead. According to the article, the plaintiffs claim that Gilead scientists knew that TDF could lead to serious kidney and bone damage as early as 2001 when Viread (the brand name of the drug containing TDF) came on the market. These scientists, according to the report, were already working on a different version of the drug using a different substance known as tenofovir alafenamide fumarate, or TAF. Studies involving TAF showed that it was not only less toxic than TDF, but also more effective in keeping HIV from multiplying. Plaintiffs allege that Gilead suppressed the information on TAF because they wanted to sell more drugs that contained TDF. They claim the company wanted to wait until the patent on TDF ran out before introducing the safer alternative to the market. Baron & Budd may be able to help if you took a drug containing TDF and suffered severe side effects. We will not tolerate companies putting profits ahead of the safety of patients who take their medications and will work diligently to hold them accountable. Please call 866-723-1890 or contact us online to learn more. Did you take the TDF drug - Truvada, Viread, Atripla, Complera, or Stribild? Did you take it between the years 2001 and 2016? Did you experience one or more of the following conditions after taking the TDF drug(s)?